I also posted this on tool talk on YT. Any of you like fixing old things with old things? 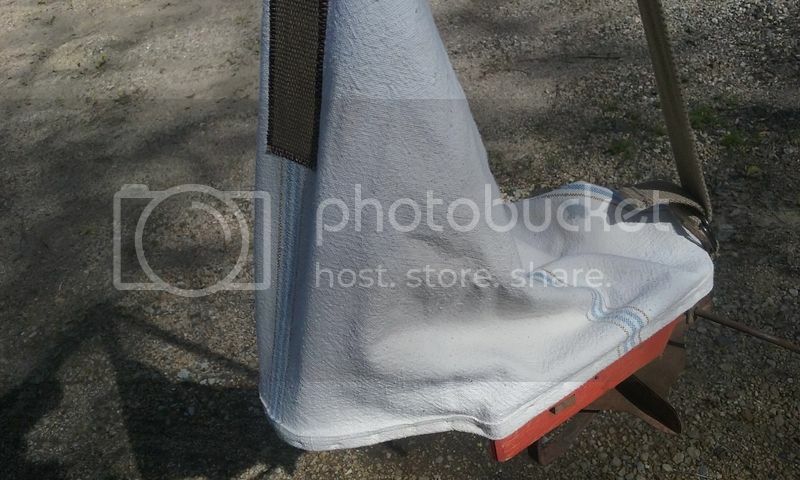 I bought this broadcast seeder at a rummage sale a few years ago. I think I paid a couple dollars for it. 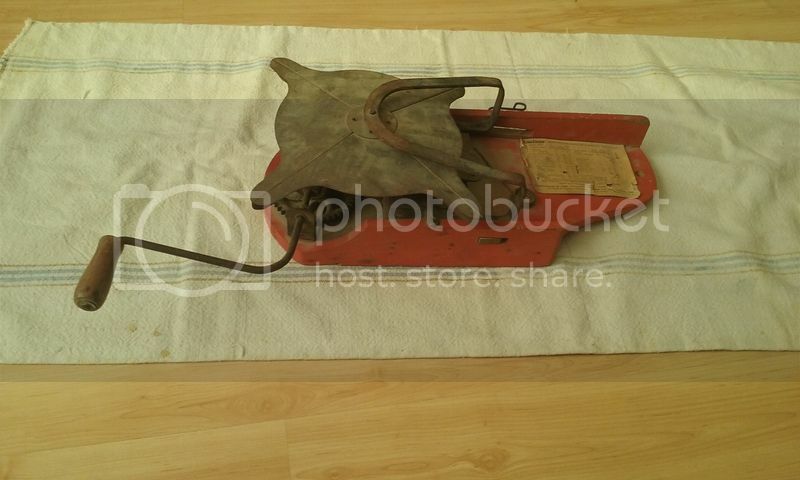 The seed bag was deteriorated so it was just dust but the platform and hand crank mechanism was in good condition. So I had this old seed or flour sack - buried in the linen closet for years. Nice soft but sturdy canvas. And I went on a shopping spree to the thrift store yesterday and spent another buck for a cloth belt. My friend cut the bag shorter, hemmed the bottom and sewed the belt on for the shoulder strap. Then I used my narrow crown stapler with the air pressure way down and stapled the bag onto the platform. And cut off the buckle and stapled it on so it's adjustable. Interestingly enough, the bag was an exact fit for the platform. Viola! I'm ready to put in my deer plots this weekend. Cost of materials, including gas running around? Maybe $6. 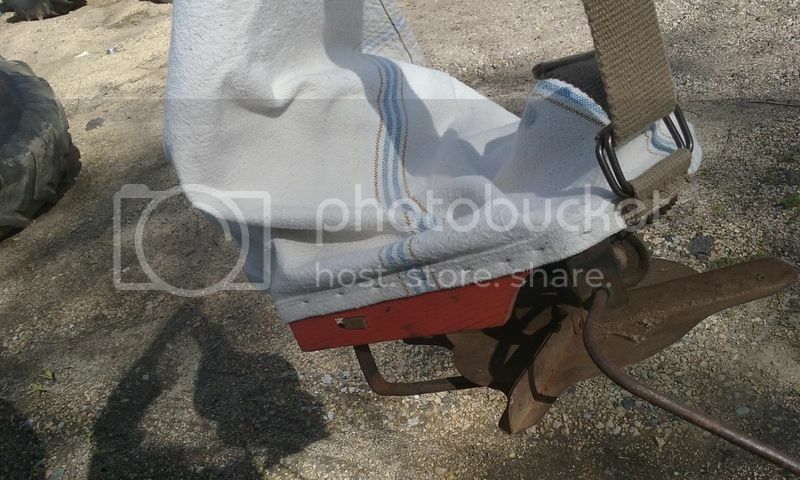 Value of fixing the old seeder on the cheap? Now that is too cool, You up for making a short video showing you spreading seed with it? I hadn't thought about a video. Always good to hear from a fellow Minnesota Ford tractor fan. Where in MN are you located? I'm near Hinckley. I'm in Columbia Heights - just north of Minneapolis. My land is in Aitkin MN. I always go up there through Elk River, Milaca, etc via US 169 or I'd suggest we meet for a cup of coffee one of these weekends. If you ever get down this way email me and we'll have a cup - or glass. I was raised on Stinson Blvd, so I know exactly where Columbia Heights is, although in my day, we called it "clumsy heights" . . .